Prepare now so that you may qualify to receive all the blessings that await you in the Lord’s holy temples. There are times when words cannot express what we feel. I pray that the Spirit will witness to your hearts your divine identity and your eternal responsibility. You are the hope of Israel. You are elect and royal daughters of our loving Heavenly Father. Last month I had the opportunity to attend the temple wedding of a young woman I have known since she was born. As I sat in the sealing room, looking at the beautiful chandelier sparkling in the light of the temple, I remembered that day when I first held her. Her mother had her dressed in a little white dress, and I thought she was one of the most beautiful babies I had ever seen. Then this young woman walked through the door, once again dressed in white. She was radiant and happy. 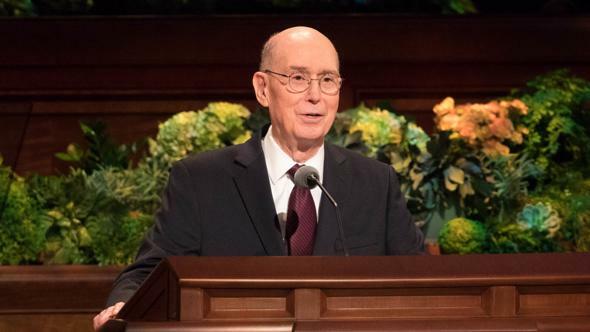 As she entered the room, I wished with all my heart that every young woman could envision that moment and strive to always be worthy to make and keep sacred covenants and receive the ordinances of the temple in preparation to enjoy the blessings of exaltation. As this couple knelt at the sacred altar, they received promises beyond mortal comprehension that will bless, strengthen, and assist them on their mortal journey. It was one of those moments when the world stood still and all of heaven rejoiced. As the newly married couple looked into the large mirrors in the room, the groom was asked what he saw. He said, “All those who have gone before me.” Then the couple looked into the large mirror on the opposite wall, and the bride said with tears in her eyes, “I see all those who will follow after us.” She saw her future family—her posterity. I know that she understood again in that moment how important it is to believe in being chaste and virtuous. There is no more beautiful sight than a couple, properly prepared, kneeling together at the altar of the temple. Young women, in a world ever growing in moral pollution, tolerance of evil, exploitation of women, and distortion of roles, you must stand guard of yourself, your family, and all those with whom you associate. You must be guardians of virtue. 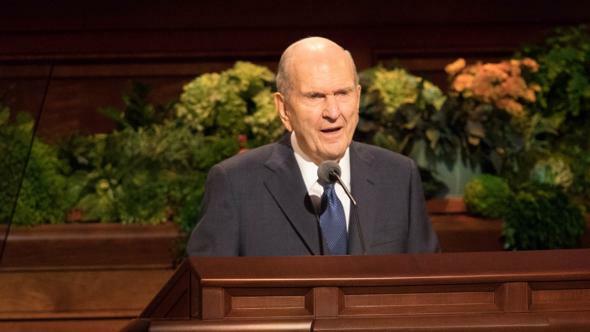 The young women in the Cedar Hills Sixth Ward decided to walk that same distance for an ancestor and also for someone who was their inspiration to remain worthy to enter the temple. They trained each week at Mutual, and as they walked, they shared what they were learning and feeling about temples. They began their walk to the temple early in the morning with a prayer. As they started out, I was impressed with their confidence. They had prepared well, and they knew they were prepared. Their eyes were set on their goal. Each step they took was symbolic of each of you as you too are preparing now to enter the temple. 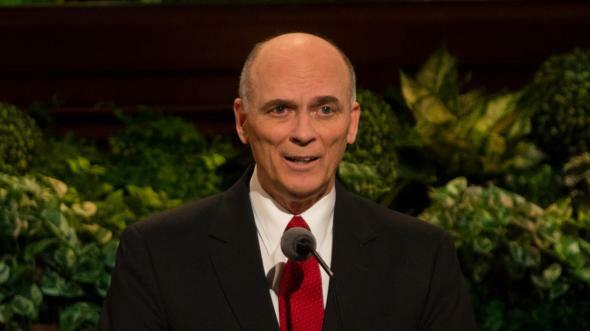 Your personal training has begun with your daily personal prayers, your daily reading of the Book of Mormon, and your working on Personal Progress. As these young women continued to walk, there were distractions along the course, but they stayed focused on their goal. Some began to feel blisters forming, and others felt knees starting to protest, but they kept going. For each of you, there are many distractions, hurts, and obstacles along your path to the temple, but you too are determined and keep going. The route these young women took was mapped out by their leaders, who had walked and driven the course and determined the safest and most direct way to go. Again, your course is marked, and you can be assured that the Savior has not only walked the course but will again walk it with you—every step of the way. 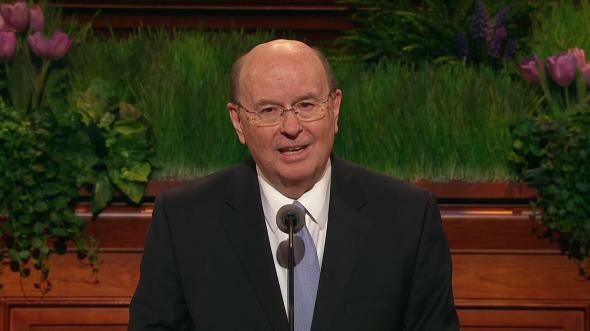 Along this journey to the temple there were fathers, mothers, family members, and priesthood leaders acting as guardians. Their job was to ensure that everyone was safe and protected from danger. They made sure each young woman stayed well hydrated and had enough nourishment to maintain her stamina. There were aid stations provided by their priesthood leaders, with places to rest and to drink water. Young women, your fathers, your mothers, your bishops, and so many others will be your guardians as you walk your path to the temple. They will call out cautions and direct your course, and should you become injured or hurt or get off course, they will help you. I was impressed that in the final miles of their walk, brothers, other young men, and friends came to support these determined young women and to cheer them on. One brother lifted his sister, who had large blisters on her feet, and carried her on his back the final distance to the temple. As these incredible young women reached their goal, tears were shed as they touched the temple and made a silent commitment to always be worthy to enter there. The temple walk is a metaphor for your life. Parents and priesthood leaders stood guard along the route. They provided support and aid. Young women guarded and encouraged each other. Young men admired the strength, commitment, and stamina of the young women. Brothers carried sisters who had been injured. 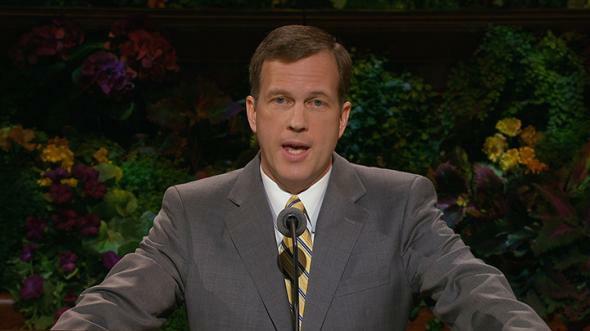 Families rejoiced with their daughters as they ended their walk at the temple and took them safely home. What can each of you do to be a guardian of virtue? It starts with believing you can make a difference. It starts with making a commitment. When I was a young woman, I learned that some decisions need to be made only once. I wrote my list of things I would always do and things I would never do in a small tablet. It included things like obeying the Word of Wisdom, praying daily, paying my tithing, and committing to never miss church. I made those decisions once, and then in the moment of decision, I knew exactly what to do because I had decided beforehand. When my high school friends said, “Just one drink won’t hurt,” I laughed and said, “I decided when I was 12 not to do that.” Making decisions in advance will help you be guardians of virtue. I hope each of you will write a list of things you will always do and things you will never do. Then live your list. Being a guardian of virtue means you will always be modest not only in your dress but also in your speech, your actions, and your use of social media. Being a guardian of virtue means you will never text words or images to young men that may cause them to lose the Spirit, lose their priesthood power, or lose their virtue. It means that you understand the importance of chastity because you also understand that your body is a temple and that the sacred powers of procreation are not to be tampered with before marriage. You understand that you possess a sacred power that involves the holy responsibility of bringing other spirits to earth to receive a body in which to house their eternal spirit. This power involves another sacred soul. You are a guardian of something “more precious than rubies.”8 Be faithful. Be obedient. Prepare now so that you may qualify to receive all the blessings that await you in the Lord’s holy temples. 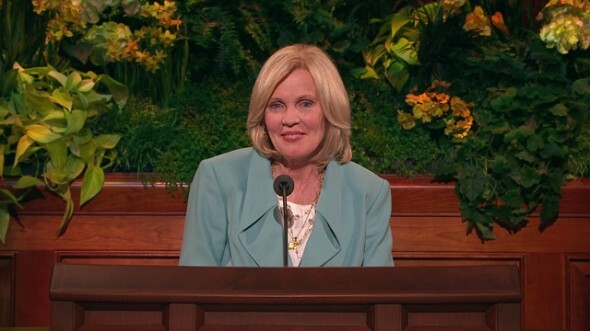 For the mothers listening tonight, you are your daughters’ most important example of modesty and virtue—thank you. Never hesitate to teach them that they are royal daughters of God and that their value is not based on their sensual appeal. And let them see your belief modeled correctly and consistently in your own personal attitude and appearance.9 You are also guardians of virtue. This week I again climbed Ensign Peak. 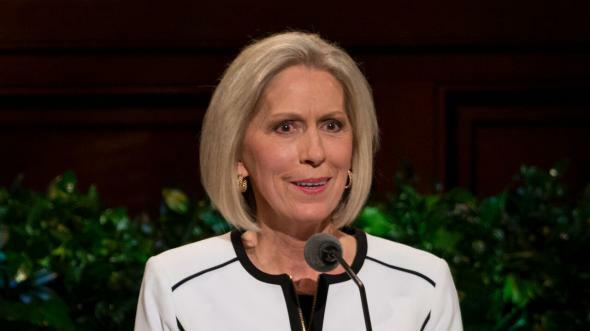 It was early in the morning, and as I looked down from that mount at the mountain of the Lord’s house—the Salt Lake Temple—it was again crystal clear. 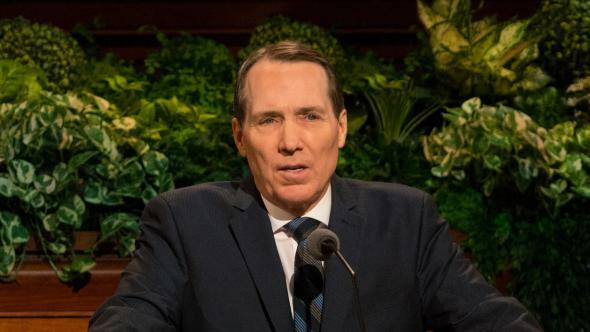 The pioneers gave everything they had to come to the tops of the mountains so that you and I could have the blessings of the temple and be sealed eternally as families. 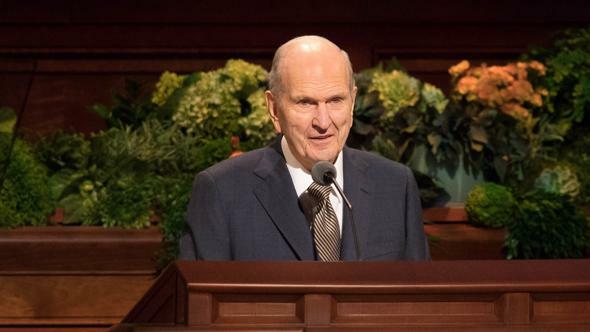 Forty years of sacrifice, painstaking work, and even walking from Alpine to the temple—why? Because, like you, they believed! They believed in a prophet. They believed he had seen and talked with God and His Beloved Son. They believed in the Savior. They believed in the Book of Mormon. That’s why they could say, “We believe all things, we hope all things, we have endured many things, and hope to be able to endure all things.”10 They endured many things and so can we. 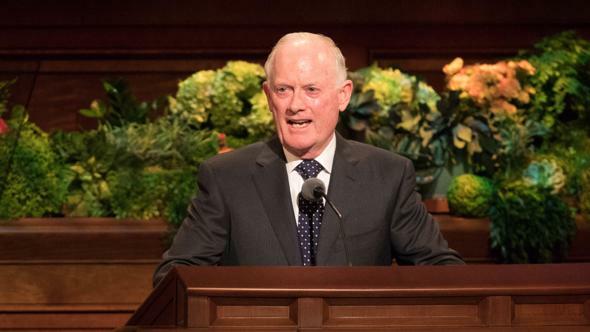 The thirteenth article of faith is what we believe because those are the very things that qualify us to be worthy to enter the temple and to one day stand in our Heavenly Father’s presence—proven, pure, and sealed. This will require that you be “more fit for the kingdom” and that you prepare now and gain the confidence that you can do hard things. Young women, you are engaged in a great work! And you are not alone! As you guard your virtue and purity, you will be given strength. As you keep the covenants you have made, the Holy Ghost will guide and guard you. You will be surrounded by heavenly hosts of angels. 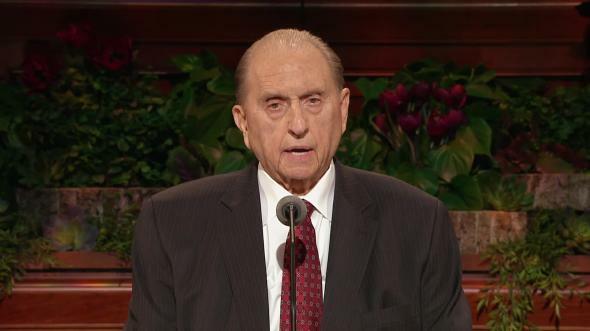 President Thomas S. Monson reminds us, “Remember that we do not run alone in this great race of life; we are entitled to the help of the Lord.”11 Prepare for that day when you will come to the Lord’s temple worthy and prepared to make sacred covenants. 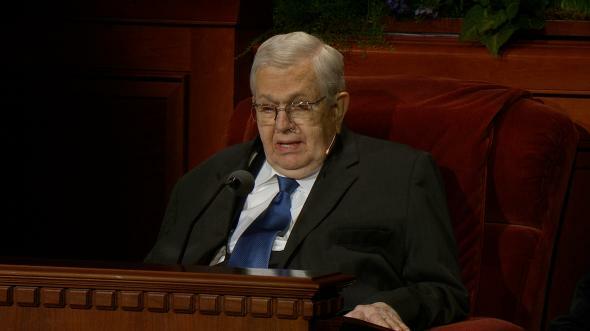 As guardians of virtue, you will want to seek the Savior in His holy house. 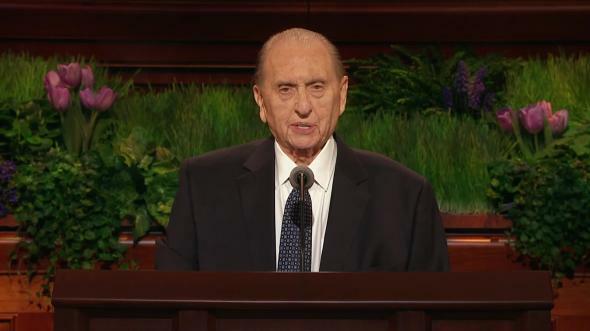 I testify that God lives and that His Beloved Son, our Redeemer, Jesus Christ, lives and because of the redeeming and enabling power of His infinite Atonement, each of you will be guided and guarded on your path to the temple and back into Their presence. I pray that each of you will be strengthened for that work which will be your finest hour. Live for that beautiful day spoken of in the book of Revelation when you will “walk … in white: [because you] are worthy.”12 In the name of Jesus Christ, amen. Young Women Personal Progress (booklet, 2009), 70. 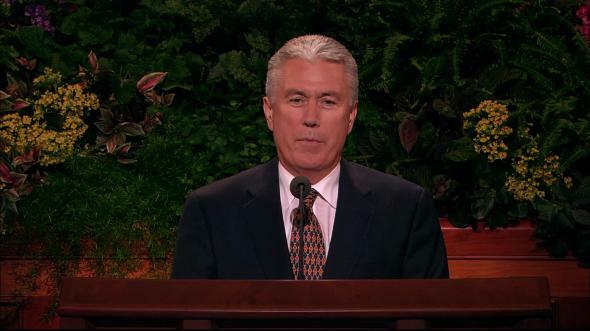 See Dieter F. Uchtdorf, “Lift Where You Stand,” Liahona and Ensign, Nov. 2008, 55. 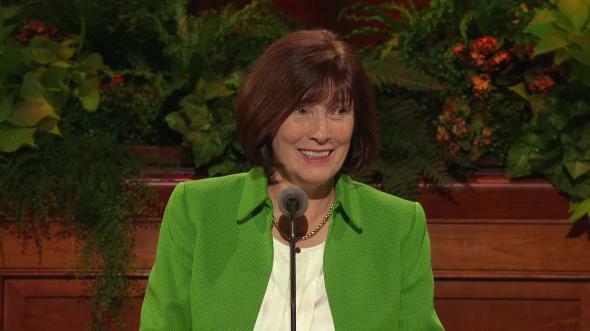 See M. Russell Ballard, “Mothers and Daughters,” Liahona and Ensign, May 2010, 18–21. 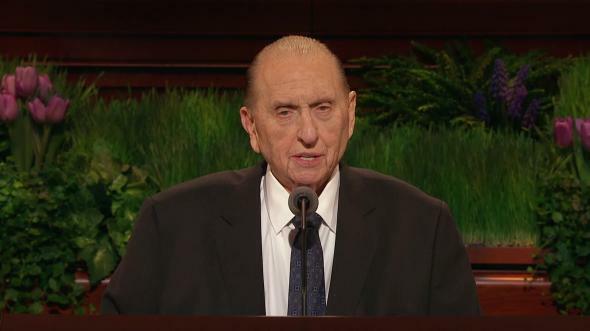 Thomas S. Monson, “Great Expectations” (Church Educational System fireside for young adults, Jan. 11, 2009), http://lds.org/library/display/0,4945,538-1-4773-1,00.html.